If you truly love animals, you love all animals — not just the pretty ones, the healthy ones, the young ones. Not just animals in your family, your neighborhood, or even your country. 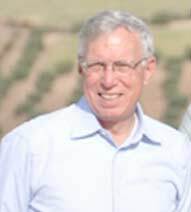 My name is Bob Coleman and I’ve served as the President of the Board of Directors for American Fondouk for many years now. Perhaps, like me, your passion for helping animals came from an important role model. Mine was my grandfather, Sydney Coleman, who also served as Board President shortly after the American Fondouk was founded in 1927. 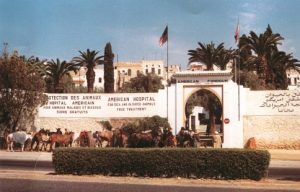 For all of those 90 years American Fondouk has provided critical veterinary care — free of charge — to the working animals of poor families in Morocco. These horses, donkeys and mules may not be among the cuddliest or cutest. But, they are animals who experience pain and hardship every single day of their lives. And, their families depend on them for their very lives. Though much of the rest of the world has changed, the people and animals of Fez have been caught up in a terrible cycle for centuries. They are hardworking but they are also poor. They have no cars, trucks, or modern equipment. 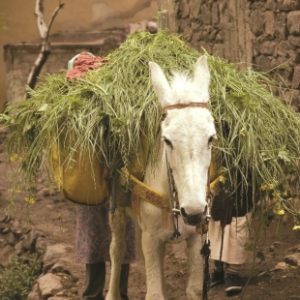 Families struggle to buy mules, donkeys, sheep and goats to help them earn their livelihood. But, even with the animals’ help, they only earn subsistence wages. If an animal gets injured or becomes ill, they have no money to spend on veterinarians or medicine. If their animal dies, they have no money to buy another. 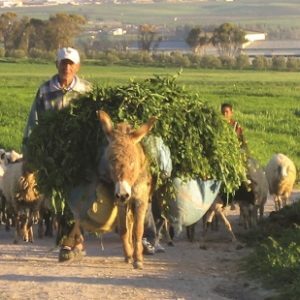 Please don’t misunderstand … the animals of Morocco must work hard. It’s a fact of life. But, often their owners are unaware of the best ways to keep them healthy. Sadly, unfortunate practices are passed down from generation to generation that actually make it more difficult for the animals to do their jobs. Some owners overload animals with cargo, prod them with sharp sticks and rub salt in their eyes to make them walk faster. These owners are not inherently cruel. They simply haven’t been given the knowledge they need to do better. When we teach them how to care for their animals properly, they are very excited to do so. That’s why we believe so strongly in education! I know you wouldn’t argue with me saying that animals, just like humans, feel physical and emotional pain. 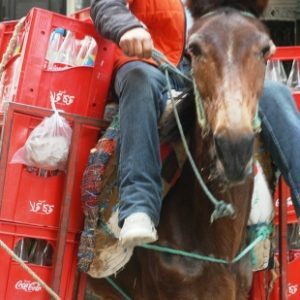 I’m sure you can imagine the excruciating pain animals who are already tired and hurting feel while they carry heavy loads in 115-degree heat, uphill over narrow, winding, cobblestone streets, wearing either no shoes at all or shoes that give you blisters. These donkeys, mules and horses suffer sores, dehydration and other serious afflictions. They get no days to rest. At day’s end, there often isn’t enough food to fill their stomachs. Some even eat things that aren’t food in an effort to feel full … and, then become sick. All of this happens day … after day … after day. These animals desperately need good veterinary care, improved nutrition and humane handling. Their owners, just as desperately, require understanding and education. Our Fondouk staff treats thousands of animals every year for all kinds of conditions and our demand continues to grow. And, every animal is treated for free! The Fondouk is the only veterinary hospital around and “free” is the only price these people can afford. That’s why the Fondouk was founded and why it’s critical that it continue today. Without American Fondouk, these animals would continue to suffer needlessly. Today, veterinary students from around the world come to the Fondouk for unparalleled learning experiences and to assist with animal care. We have a blacksmith, a laboratory and a small surgical facility. The name “fondouk” is Arabic for shelter. For our animals, the Fondouk is more than that. It’s a sanctuary for healing, safety, dignity and hope. Not only hope for suffering creatures, but for the world itself! P.S. If you’d like to make a gift today to the support the hard-working animals of Fez, please click here. The American Fondouk is a 501(C)(3) Nonprofit registered in the US under EIN: 04-6043108.